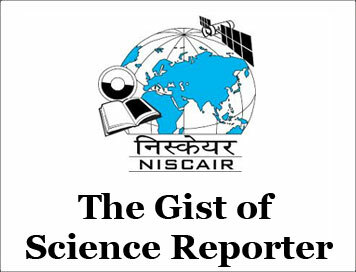 (The Gist of Science Reporter) Paradise lost [JUNE-2018] | IAS EXAM PORTAL - India's Largest Community for UPSC Exam Aspirants. How Climate change and Pollution Could Wreak Havoc in Antarctica ? Located Farthest from the human civilization and endowed with extreme weather, Antarctica remains the last paradise for inquisitive explorers and scientists. In December 2016, I was among the fortunate few who were selected for a long and eventful voyage to Antarctica that would last for the next four months. One of my active research interests is how species disperse in response to climate change. The idea is that because of climate change, both Continental Antarctica as well as the surrounding Southern chan are getting warm and * therefore species that are restricted to warm subtropical and temperate waters might get dispersed to expand their range to Antarctica. There are also chances that some non-native seaweeds might have got introduced to the Antarctic coasts. I visited both of India’s Antarctic stations -Bharati Station at Larsemann Hills and Maitri Station at Schirmarcher Oasis. Both of these stations are located in East Antarctica and are approximately 3000 m apart. While most: of these islands of Larsemann H1113 remained unpolluted presence of human arrival ts obviously visible everywhere In the islands and in the peninsulas on close inspection most of the peaks have place markings underneath these stones. At some locations, concrete plaques with markings of coordinates and the organisations can also be spotted. Places around Broknes Peninsula and Manning, Island remain the worst polluted places in Larseman Hills. On a walking trail from Progress-1 station all the way to Progress-2 and Zhongshang one can see the perils of human activities; at many locations one can spot discarded oil barrels, thick T metallic ropes metal scraps, and even mattresses and cans of beers In the imanmng island, I spotted beer cans at several places I also spotted a container with scrap metals inside, littered near Lake Folding, Manning Island. Terrible state of affairs that require immediate attention. At one summit overlooking Progress-2 station, I saw a giant crucifix made out of rubbish; a product of human artistry, nevertheless despicable in this pristine continent. The cruciflx, just like those all-faith prayer rooms in our stations, disenchanted me. Pax Antarctica remains the only continent that has escaped religious indoctrination, and thanks to which there were no conflicts yet. This encroachment of religion would make Antarctica just like anywhere else on the earth. I wish the ATS (Antarctic Treaty System) bans all from of religion from this continent. Schirmarcher Oasis is one of ‘The most heavily polluted regions 0" Antarctica. Scrap metals can be found everywhere; I found fuel barrels an even containers on tOp of hillocks Burst balloons (that were being launched frequently to study the atmosphere) can be found almost everywhere one goes. At several Locations in the Antarctic glaciers I could find pink ice. Algae. The pink or watermelon algae (Chlamydomonas nivalis) is quite interesting; its massive blooms sometimes cover large areas of the glaciers. The algae is known to cause glacial melting directly and indirectly ; directly , for its melts the ice in order for it to complete its life cycle , and indirectly , for it masks the white colour of snow (asit colours the glacier pink), and thereby reduces the albedo effect. Albedo effect is the reflecting power of white surfaces, especially the ice sheet; it refiects most of the energy and UV from the sunlight .haclito the atmosphere. However, when the white colour is masked by pink, the energy from sunlight gets trapped, accelerating the melting of the ice. Perhaps the most unusual finding that I made in Larseman Hills is the presence of large invasive seaweed Laminaria throughout the coastlines of several islands, especially Twin Island. This seaweed, commonly known as Kelp, has never been reported in continental Antarctica. The most plausible cause for its introduction is via research vessels. Twin Island sits on the mouth of a narrow bay that cuts into Brokness Peninsula, where three research stations are situated -China’s Zhongshan, Russia’s Progress-2 and Romania’s Law-Racovita. Of course, Antarctica is changing, and our last paradise is on the way to being irrevocably lost. The Earth had a little ice age’ in the 17th century; since then our planet is getting warmed up at an alarming rate of 0.02°C per year, which had never been the case in known history. It is now estimated that up to 90% of that increased atmospheric temperature gets trapped in the world’s oceans. Oceans get heated up particularly in the tropics, and the salty warm water travels pole-wards where the higher density (due to higher salinity) forces it to sink straight down the ocean along with the temperature -a process called ‘salt water subduction’. Naturally, global warming significantly increases this pole-ward flow of warm polar waters, causing tremendous increases in the world’s ocean currents. Another major effect is that warm ' waters reaching the poles directly melt A floating ice there sea ice as well as ice-shelves). In addition, the scientific consensus is that the oil trapped inside Ross and Ronnie Ice Shelves (only areas where oil is detected, both are far away from Indian stations as well) are too insignificant and that a commercial scale exploitation is unworkable. The short-term effect of changing climate is predicted to be an Antarctica that is getting greener. As the continent can sustain vegetation only at the ice free oases, resulting plant resources there will be negligible, quite unlike that of tundra like Siberia (Siberia is expected to become an agricultural heartland in the near future).